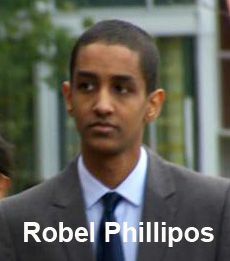 Robel Phillipos has been found guilty of making five of the nine false statements alleged in the Indictment. The jury found he lied about both false statements charged in Count 1 and three of the nine statements charged in Count 2. He will remain on bond and house arrest through sentencing. The jury is in its fourth day of deliberations in the trial of Robel Phillipos, the friend of Dzhokhar Tsarnaev charged with two counts of making a false statement to federal officials in a terror investigation. Count One pertains to his statements to authorities on April 20, 2013, and Count 2 relates to statements made on April 25, 2013. Opening arguments began today in the trial of Robel Phillipos, the third friend of Dzhokhar Tsarnaev to be charged with a crime related to the removal of items from Tsarnaev's dorm room after Tsarnaev was identified as a suspect in the Boston Marathon bombings. He is charged with making false statements to the FBI. His defense: He was "stoned out of his mind." Friend Azamat Tazhayakov was found guilty of obstruction of justice at a trial in July; Dias Kadyrbayev pleaded guilty to obstruction in August. Neither have been sentenced yet. A fourth friend, Steven Silva, is awaiting trial on gun charges. Since the initial appearance, the parties have conferred extensively and now agree that the Court can fashion strict conditions of release that will reasonably assure the defendant’s appearance at future proceedings. Specifically, the parties recommend that the Court impose the following conditions: (a) home confinement at the residence of a third-party custodian; (b) defendant shall be monitored for 24 hours a day on an electronic bracelet; and [c] his release will be secured by a secured bond in the amount of $100,000. Robel filed a motion for bond on Saturday. Links to bond pleadings are here. The FBI is again searching the residence where Tamerlan Tsarnaev lived with his wife at 410 Norfolk St.
Ruslan Tsarnev (the uncle from Maryland) is at the funeral home where the director is still pleading for the Government to step in and find a place to bury Tamerlan, whose body is now being prepared for a proper Muslim burial.